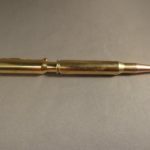 This premium pen features a real 30-06 brass bullet cartridge with a real copper bullet writing tip. The clip is a copper fancy design. 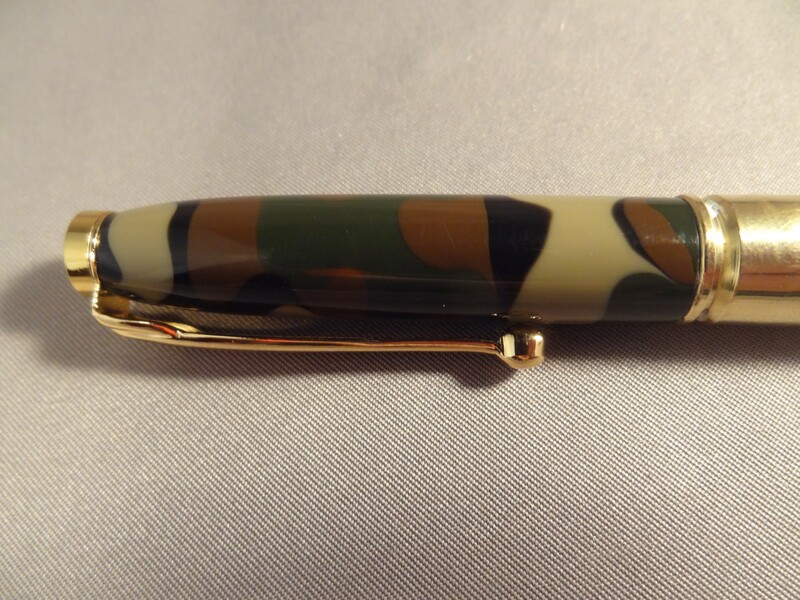 The upper portion was turned on a lathe and is made from an acrylic resin with a camo pattern. This twist pen uses a standard Cross refill and comes with black ink. 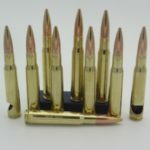 The 30-06 portion can be custom engraved. 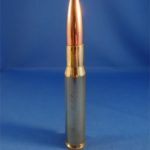 Please allow extra time if you choose engraving. Line One must be chosen before Line Two. If Line Two is chosen first, your order WILL NOT be processed. 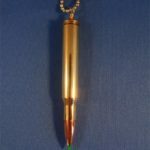 PERSONALIZED & ENGRAVED .50 Caliber Brass Bottle Openers. 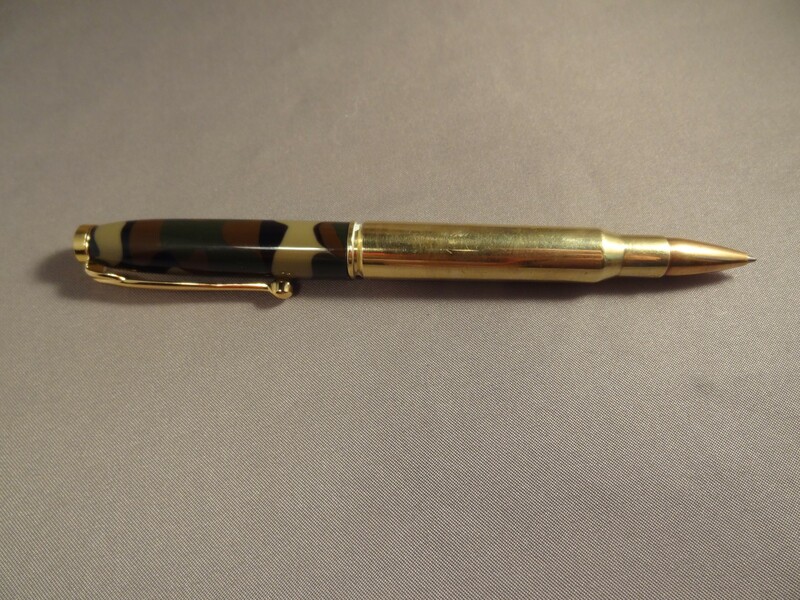 Great Gift for Groomsmen, Corporate, Father’s Day, Birthday, Soldier, Hunter & More.